Professional electronic and cabinet restoration services. Rusty-dirty chassis? Have us chrome it. 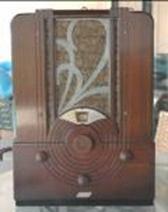 Majestic Radios does electronic restoration of tube and transistor antique radios and audio equipment. We replace all capacitors, check and replace all out of tolerance resistors, replace all defective tubes or transistors, replace line cord with era appropriate line cord, fully align IF and all RF sections replace or re-cone loudspeakers and basic cosmetic cleaning and restoration of dial, dial glass, knobs, cabinet and chassis. In the case of audio equipment or requested, We perform frequency response and distortion measurements and provide the customer with a copy of the data. Typical cost for tube radio service is $45.00 per tube count. We have a professional who does the refinishing of wood cabinets and veneer repairs. We clean and polish Bakelite and plaskon cabinets. We can have chrome plating done locally. 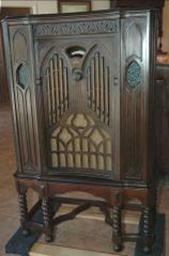 If valuable but rusted radios chassis need restoration, We can completely strip the chassis of all parts and chrome plate the chassis, completely rewired the radio with period wire, polished IF transformer cases and tube shields or have them chrome plated. This custom restoration work is done as parts cost plus labor a charge of $40.00 per hour. 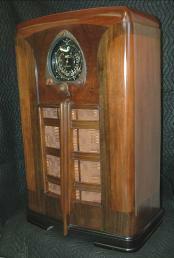 Chroming of the chassis, full restoration and rewiring of a typical 6 tube MW AM radio will cost about $450.00. We provide a complete estimate of cost prior to any work based on inspection of the radio and the customer’s specified level of restoration. 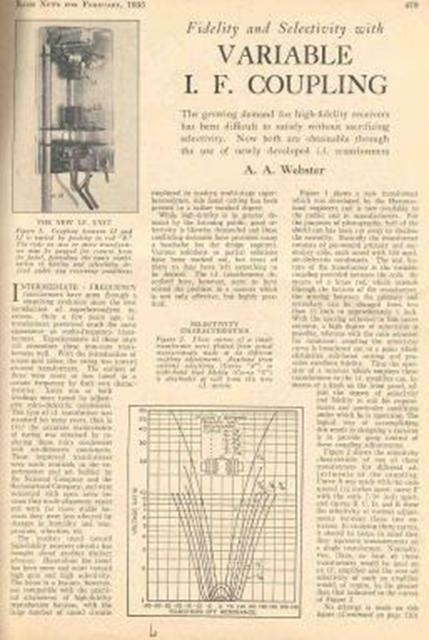 From time to time I will reproduce meaningful technical articles from 1930s radio magazines and reports of interest about the radio business during the great depression era.